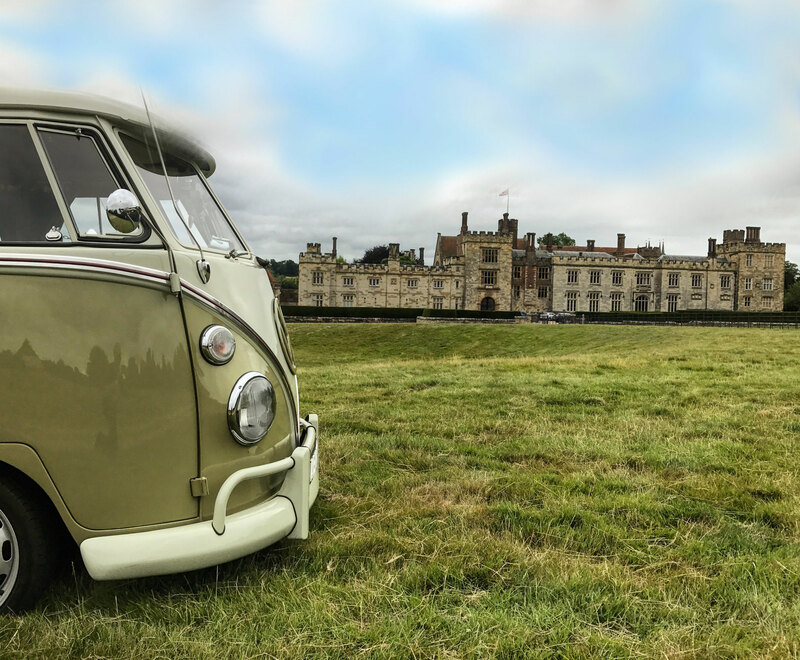 From noon on the 12th until 5pm on the 14th of July Volks Weald 2019 will be held again at the stunning Penshurst Place in Kent – a privately owned, historic house of medieval origin. Located in the charming village of Penshurst amongst glorious countryside in the centre of the Weald of Kent. With a history spanning seven centuries Penshurst Place has been the setting for many sumptuous events – Kings, Queens, Noblemen & great poets have dined there since 1341... 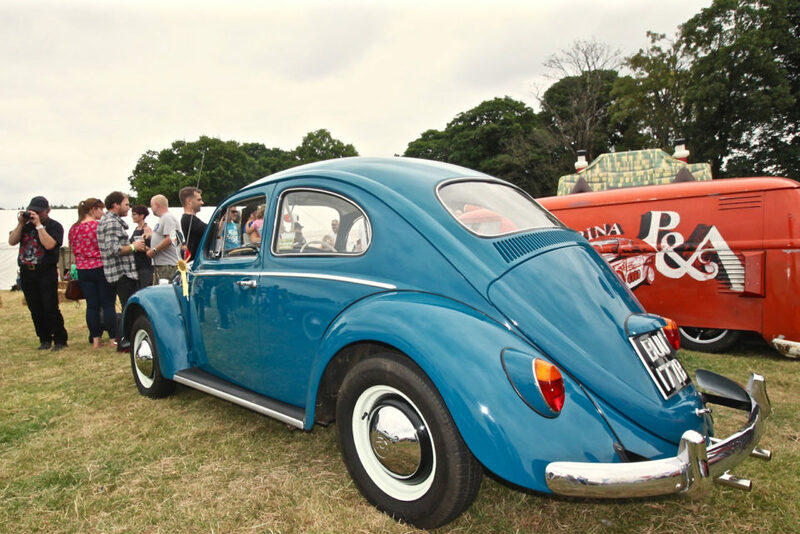 The VW community, friends and the public will come together for an old skool weekender & car show in 62 acres of beautiful parkland. The event is aimed at families & clubs and is set up so they can enjoy a great two night camping experience with a superb entertainment programme, trade village and catering avenue. 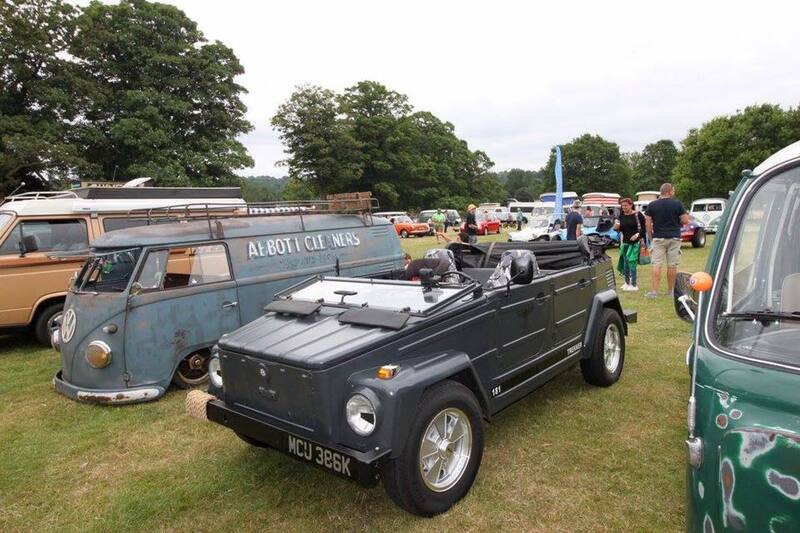 Importantly, we want to go back to the real basics of a VW show and everyone with any sort of vehicle is welcome to join us – great times, great people & great cars! Below is some amazing feedback we have received from our show in 2018. Online tickets are available now. Prices are per adult with children under 16 accompanied by an adult getting free entry. Wristbands for under 16s will be supplied by our gate staff. Sunday day tickets allow entry to the Show n Shine. Saturday day visitors, you must leave the venue by 6.00pm as the public gate will be locked. Thank you. 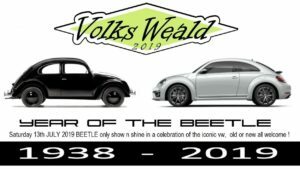 The Show N Shine is the highlight for any car show and 2018 for Volks Weald did not disappoint with over 150 draw dropping vehicles on display. 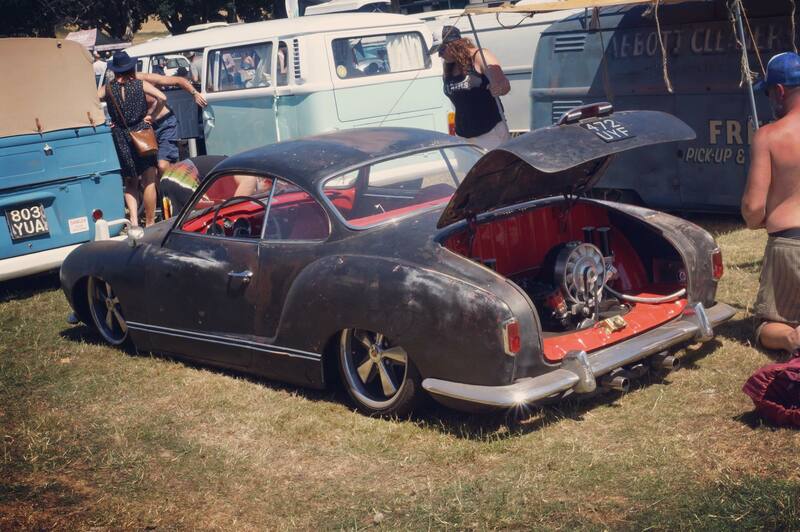 The show field on the Sunday was heaving with amazing air cooled VW’s, some super cool water cooled as well as many other makes including Hot Rods & Vespa’s. It’s FREE to enter, just shine them up, park them up and show them off! 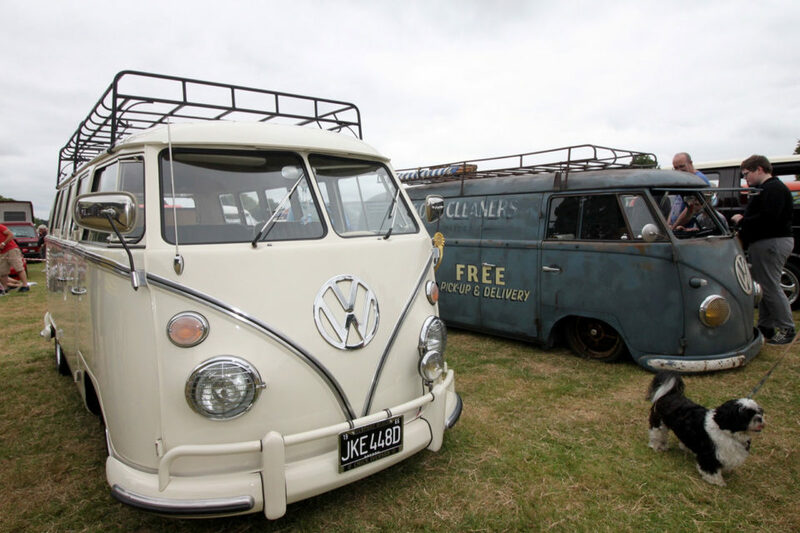 So there is only one place to be on Sunday 14th July, Volks Weald, The Greatest Show On Turf! See you there! 2019 is a very special year….as you may have heard in the news VW have decided to drop the iconic Beetle from their production line. Some say the “iconic” Beetle finished in 2003 when they stopped building the classic design but a Beetle is a Beetle and the name has lived on in the new modern shape and is adored world wide in all its various forms. 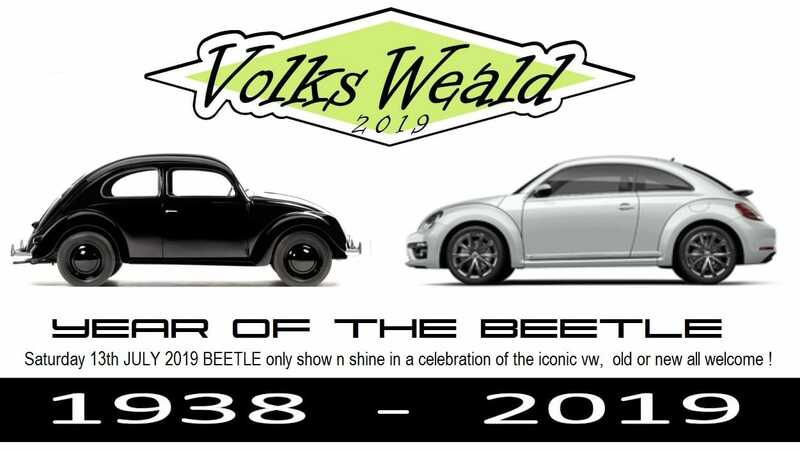 On Saturday 13th July 2019 we are going to have a very special show n shine just for Beetles, all years, all shapes as a celebration of this amazing piece of history. We have some amazing bands and musicians lined up to keep you entertained over the weekend. A full timetable of the acts will be announced nearer the show. 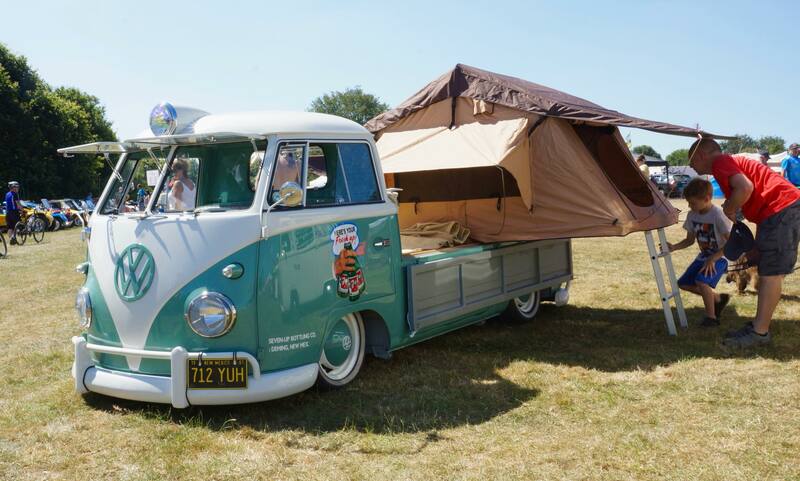 If you love your music as much as you love your VW’s, there is only one place to be over the weekend of July 12th 2019! 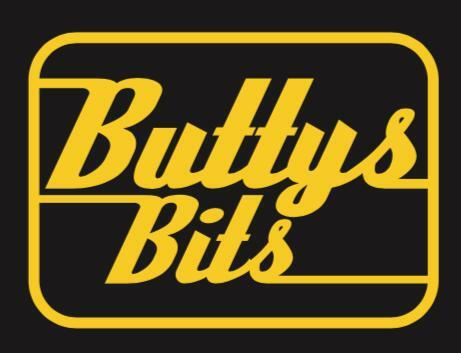 See you there..
After the overwhelming feedback last year, Bug Beats will be doing a full Friday night set. Neil is going to take the roof off! Can’t wait for this, awesome set up and a top DJ, its going to be a night to remember! Saturday night, we are pleased to announce Happy Accident will be keeping you entertained. You are going to have a ball with these guys! 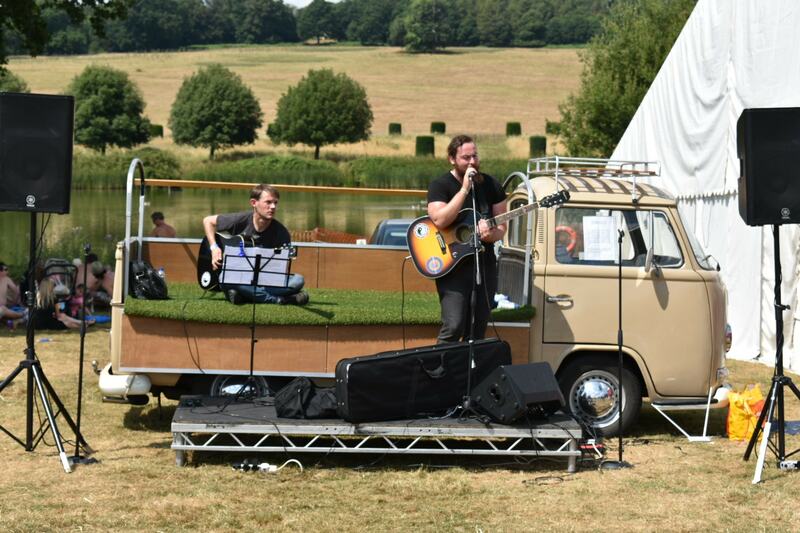 They are regulars on the VW show circuit playing quality covers from Artic Monkeys, Kings Of Leon, The Jam, Oasis to name but a few. Over the moon here to announce that we have a very special guest returning to ‘Volks Weald’ this summer, all the way from the USA, award winning musician and pianist, Dave Manning. Many of you would have heard Dave’s music and if you haven’t, you would have seen him feature in the award winning film, ‘The Bus’. He travels the length and breadth of the USA in his 65′ split called Vincent playing his music to the masses so to have him playing at our show is a huge honour. We are chuffed to bits to have Dave playing again over the Saturday & Sunday, he was great in 2017 and I’m sure we will all give Dave a warm British welcome. Oh my…Have we got a treat booked for you guys. On the Sunday, 14th July, just before the show n shine results, we have Rudy Warman & The Heavy Weathers playing for your enjoyment. If you haven’t heard these guys, you are in for a treat. On Saturday 13th July 2019 we are going to have a very special ‘Show n Shine’ just for Beetles, all years, all shapes as a celebration of this amazing piece of history and to mark the end of an era. 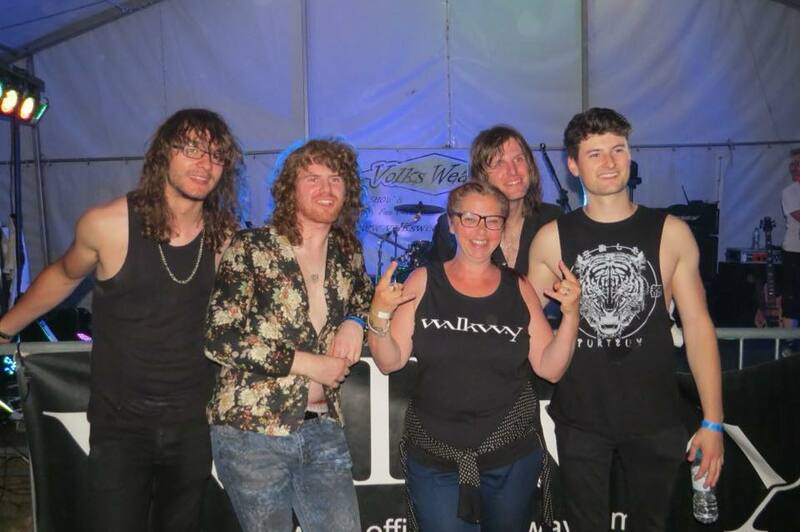 We are pleased to announce on the Saturday afternoon we have a cool young Beatles covers band playing for us, The Malabars. You are going to love them! Volks Weald is so pleased to announce that we have the very talented Estelle Mey playing for you early Saturday evening. “While the Icelandic weather and the country’s contrasting landscape imbued her rock with a dreamy and otherworldly quality, the British weather has had a profoundly different influence on the French singer-songwriter’s sound. This young lady is super talented and you are going to love her! Such a popular attraction last year is back for 2019. With your wristband, if you’re a day or weekend visitor you can view the stunning gardens of Penshurst Place for FREE and visit the house for only £2 per person, under 16’s FREE. You guys are going to be busy! The trade village this year was amazing ( so say our visitors ) with over 50 trade stalls selling all sorts of goods. It had a real artisan feel about it and 2019 is shaping up to be even bigger & better with many traders already booked in after their successful trading in 2018. So if your a visitor start saving up your pennies and if your a trader looking to book in for the Greatest Show On Turf, head on over to our trade page and get booked in to avoid missing out on a pitch. 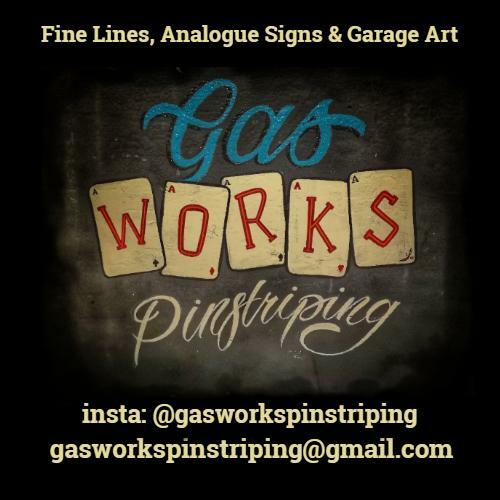 Something new for 2019, one of our amazing show sponsors, Gasworks Pinstriping will be doing demonstrations in the art of pinstriping over the weekend. Can’t wait for this, its going to be awesome. 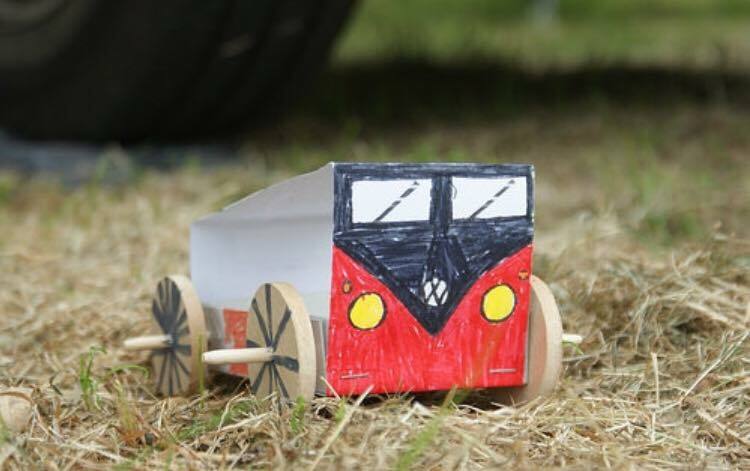 This little guys got news of something special happening at Volks Weald! On the Sunday there will be a Fun Dog Show kindly being organised by the ‘Pennard Vet Group’. There will be fun classes, entry to each class will be £2 and all money raised is being donated to a ‘Pennard’s Vet Group’ charity. We look forward to seeing your four legged friends there! We have some mouth watering caterers lined up for you at the show in 2019 to keep you fed and watered from fish n chips to pizzas or just a great cup of coffee, we have it covered. One of the many talking points of the show in 2018 was the inflatable pub and we are happy to tell you it will be returning. How could we not! So look forward to a nice cool beer or maybe a G & T at the ‘Inflatable Tavern’. Who’s round is it ! All visitors to the show over the weekend will be able to take their little ones and slightly bigger ones, FREE OF CHARGE, to the amazing Penshurst Place Adventure Playground. It was a real hit with the children in 2018. You also have FREE entry to the awesome Penshurst ‘Mazie Maze’ which opens its gates on the Saturday of the show. Lots to keep the children busy. So don’t miss out, book your tickets now. FROM M25 JUNCTION 5, follow A21 to Hastings, leaving at Hildenborough exit, then follow brown tourist signs to Penshurst Place. FROM M20/M26 Junction 2a, follow A25 (towards Sevenoaks) and then A21 for Hastings, then as above. Guests will enter via the PRIVATE ENTRANCE on B2176 as marked on map (by Weddings at Penshurst Place & Gardens), sat nav reference TN11 8DH. Local approaches are well signposted with brown tourist signs. Train from London Charing Cross or Redhill to Tonbridge, then taxi to Penshurst (6 miles). Please note: Penshurst train station is a 2.5 mile walk approximately from Penshurst Place, on roads with no footpaths. For bus service – see above. 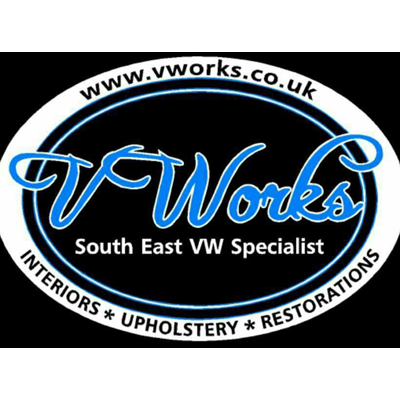 Vworks is a south east VW specialist. Interior upholstery restoration, based in Penshurst, kent. 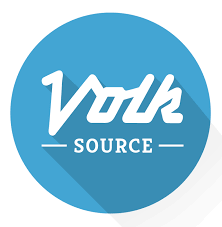 Find us on Facebook at vworks or VworksUpholstery. 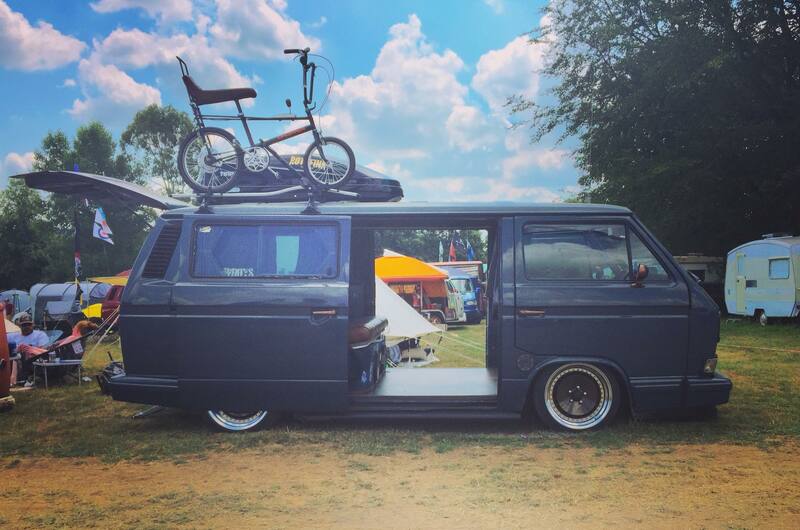 Under The Arches is VW Facebook page, with over 40,000 followers, that shares the "Lowest Of The Low" in the World Of Dub...rides that make you go Oooosshhh! 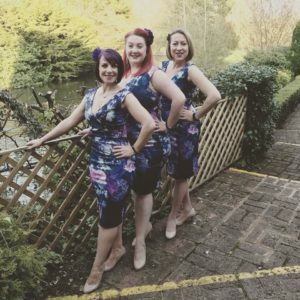 All a bit of fun, come on over and give us a like! In 2019 we now have 8 lovely places dotted around the South East. 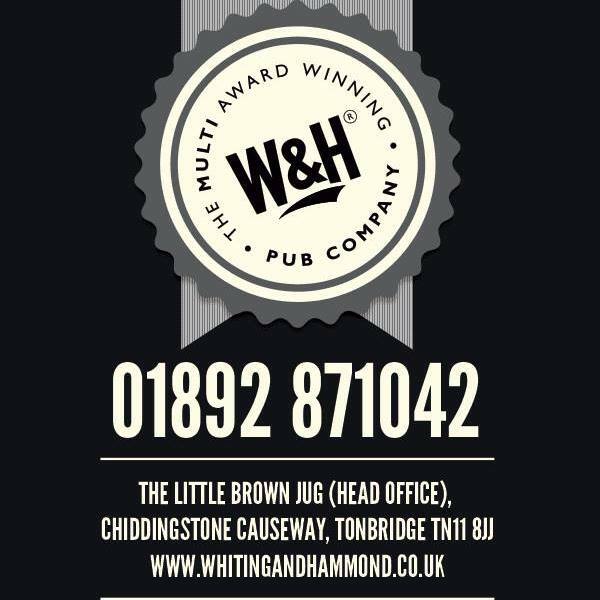 We are proud to be a small independent family business and are often over whelmed to receive such high accolades, we love what we do and hope you love it too. 1066 type three are a South East England based VW type 3 specialist stocking parts including, bonnets, doors, wings, trim and lights, and the list is ever expanding. At Surf n Snow Clothing, we love quality. Stockists of Urban Beach, Osprey wetsuits, Lindy Bop dresses, Pineapple Island jewellery and Volkswagen licenced clothing. Find us online and at a festival near you. 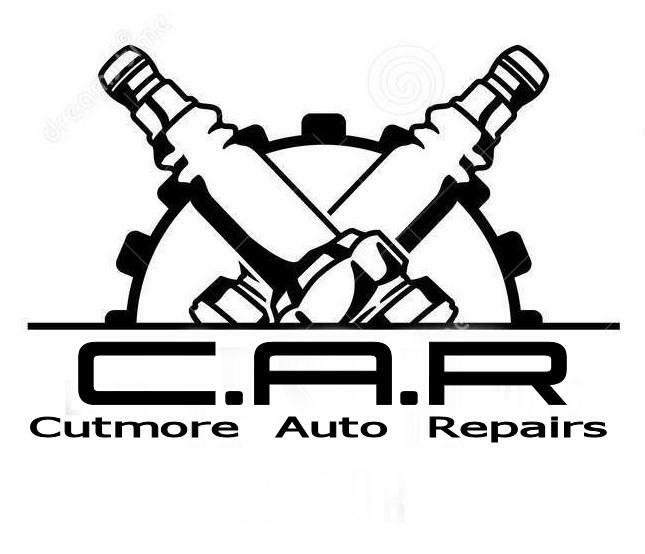 For all you auto servicing and repair needs. Quality, Value, Service. 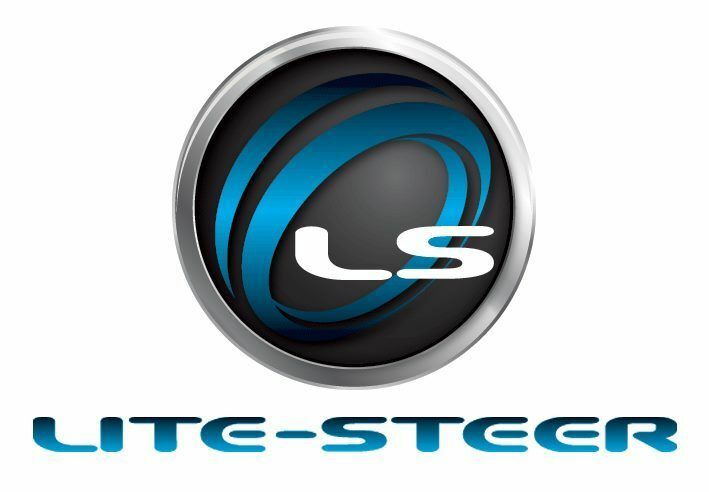 Lite-Steer is an electronic power steering for mainly VW camper vans, but we have successfully installed into a MK1 Ford and Daimler and Morgan. Gas Works Pinstriping - the home of fine lines, analogue signs and garage art. If it stays still long enough, I'll paint it! Established over 30 years, Heritage Parts Centre is committed to supplying the very best parts to owners of VW and Porsche vehicles. Our partnership with VW Classic Parts gives us access to over 40,000 obsolete and rare genuine parts - so that elusive Volkswagen part may only be a phone call away! Based on the south coast a business that makes specialised parts for Vws to improve your ride. Subscribe to our Facebook and Instagram to keep up to date with all the latest news and competitions. How can I buy tickets & how much are they? Weekend tickets are £25.00 per adult, including two nights camping when purchased from the team at one of the many shows we will be attending or online from the website. The price on the gate for the weekend is £30 per adult . Saturday day tickets are available for £10 per adult for walk in only with parking in the public car park. 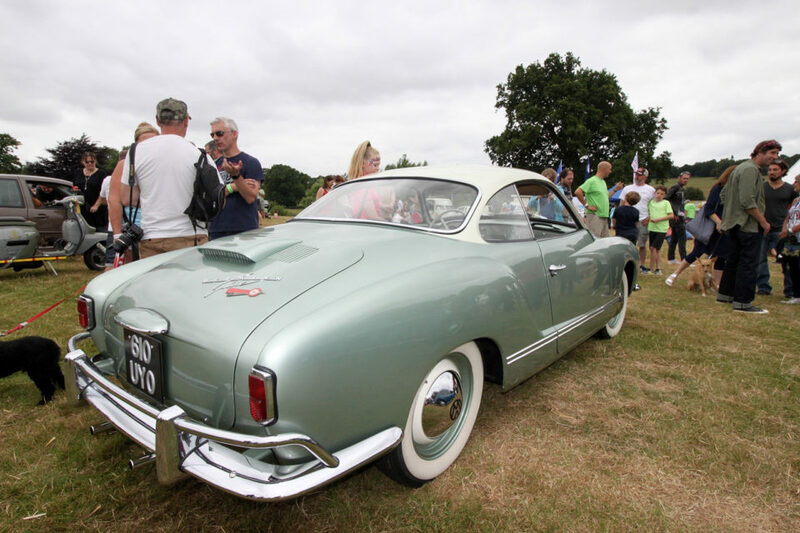 Sunday day tickets are available for £10 per adult for walk in or vehicle access to our show n shine field. Both Saturday and Sunday tickets are available online or on the gate. All children under the age of 16 accompanied with a paying adult go FREE they will be supplied with wrist bands by our gate staff. Day Visitors: Saturday – gates open at 9.00am and you must leave the show by 6.00pm. Sunday gates open at 9.00 am and the show officially closes at 5.00pm. Can I stay over Sunday night? Yes, if you have purchased a weekend ticket, you can stay over on the Sunday night. We would ask you leave the site by latest 10.00am on the Monday and please note there will be no entertainment laid on for the Sunday evening. Can we park where we like? There is designated day parking and the camping will be located elsewhere. Marshals will be on duty all day and will guide you to your designated area. Do you have Electric hook-ups? No, we do not have electric hook ups on site.